Start on Marsh Creek Road near the Rail Trail Parking Lot. Go about two hundred yards and turn off of Marsh Creek Rd. onto an old Railroad bed. Follow this until you reach a "Y" go to the right. 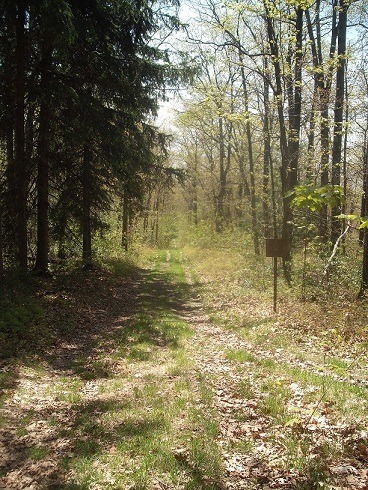 Follow the road to a pasture and continue up the hill, following snowmobile arrows towards the tree line. At the woods, go left and follow trail crossing a small stream. Continue following the snowmobile trail until you reach the Dry Hollow Trail on the right. Continue to follow the snowmobile trail uphill. On top of the ridge, turn right. Keep following the snowmobile trail until you reach the gate at the former site of a fire tower. This will be an Aid Station with water and food. Veer to the right before the outhouse at the end of the cul-de-sac, and follow grassy path south down the Herrington Hollow Trail. Trail becomes steep downhill upon leaving edge of a clearcut and becomes difficult to follow after descending to the first bench in the mountain. Follow deer trail down through mountain laurel, then descend to dry streambed, follow bed and passing over a spring. Follow a path on the right side of the drainage when it becomes evident, follow ribbons. 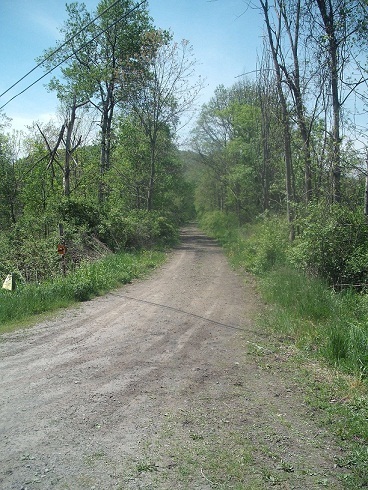 Grade enters open area and descends to cross Herrington Hollow. Top of point, follow old trail down point to left, then follow fence line to the right. At the end of fence line, follow logging grade and ribbons back to Marsh Creek Rd. **Information from the book "Short Hikes in Pennsylvania's Grand Canyon by Chuck Dillion."